As a child, Gail was interested in music, drawing, painting and taking art classes in school. In high school and college she excelled in art and hoped to have a career as an artist. Being the oldest of six children, she was encouraged by her parents to become a teacher. 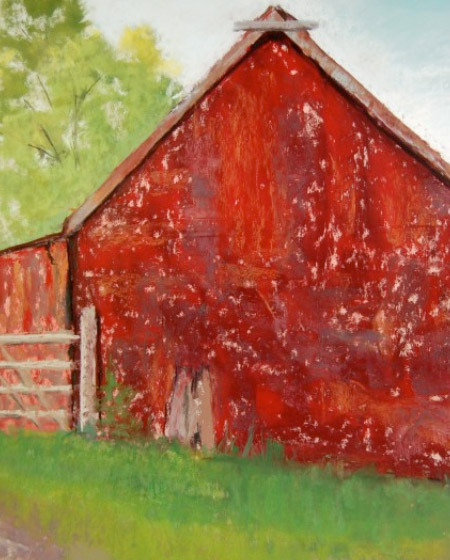 After moving from Wisconsin to Colorado in the early 70’s with her husband, she pursued her education in teaching but never forgot her childhood dream of becoming an artist. She looked forward to retirement to pursue her passion and has been painting for the last eighteen years. Gail has served her community through teaching in the public schools and volunteer work with nonprofit groups. She traveled to Guatemala with Friendship Bridge and served on their education committee for two years. She was also active with Parents and Friends of Lesbians and Gays while the group was meeting in Evergreen. After retiring from her teaching career of 22 years Gail has enjoyed opportunities for travel, painting and expanding her art education through workshops and classes with her favorite artists. She enjoys photography and working in mixed media collage. For the last thirteen years she has focused on pastel as her primary medium. During her travels, Gail photographs inspirational landscapes and subjects for studio reference. It is her love of color, nature and the Northern New Mexico light that inspire her to continue her journey as an artist. Late spring and early fall will find her in her Taos studio location, gathering photos of subjects and landscapes to work on during the winter months in Colorado.